Multiparameter Water Quality Meters make the control, monitoring and logging of wide list of data easy and quick. With this portable and compact equipment you do not need many tools to measure each parameter separately, as now you have one to gage more than ten characteristics. Aquaread represents the multiparameter meters in various modifications to fit every wallet and satisfy the most complex demands. Aquaread’s measuring facilities are widely used in many spheres of industry, mining, ecology, agriculture and many other spheres of human activities. It is mobile, works as easy as push-the-button, which makes it irreplaceable to operate in the field. salinity, resistivity, seawater specific gravity, etc. The flagship model of Aquaread Multiparameter Water Quality Meters can register 17 indices at once. AquaProbe 700 and 800 are the basic modification that gives the accurate information about four main characteristics of water quality: conductivity, salinity, pH and temperature, the 800 variant also includes the nephelometer with sapphire lens to measure turbidity. In the comfortable carrying unit you will find the Aquameter with built-in GPS to gather, store and analyze the information, Aquaprobe with sensors, 3 meters of cable, manual and accessories for calibration and general maintenance. The dissolved oxygen sensor uses the galvanic method. It is solid and is resistant to cleaning and polishing, which makes the sensor durable and reliable for long service. There is an option to upgrade it to the optical sensor. Aquaread AP-2000 is the slim designed probe, less than two inches in diameter, which can operate unmanned for short and medium period. It gathers all main information about the water parameters, as the younger models, but also has the additional sockets for optical sensor and ion selective electrode. You can choose yourself which additional characteristics you need to know about the water. The cable length can vary from three to thirty meters. 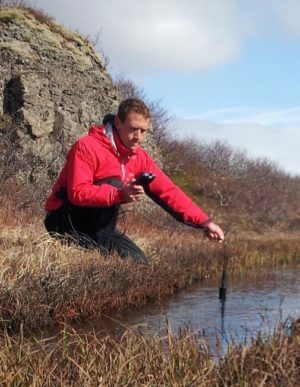 The 2000D modification includes the depth sensor and can be used as water level logger. It has the accuracy and reliability comparable to the purpose-designed loggers and gives a lot of additional information. The installation and calibration is very easy – the depth is measured as zero when there is no conductivity, and then should be zeroed again when the probe is lowered to the desired level. After that the Aquaread AP-2000D starts measuring the least changes of water level and displays them on the screen. The AP-5000, on the contrary from the 2000 model, is the larger probe with more additional possibilities. It goes with the combines pH and ORP sensor, optical DO, conductivity and depth sensors. It contains four auxiliary sockets, each of them is available for both optical sensor and ISE. Aquaread AP-7000 features the built-in cleaning system that makes this model a long-term autonomously operating equipment. It has six additional unrestricted slots. All our probes are made of solid longwearing materials that can work in fresh and salt water, resistant to contaminants and solids. Our equipment will make the water monitoring easy and comfortable no matter how complex is the analysis you need.